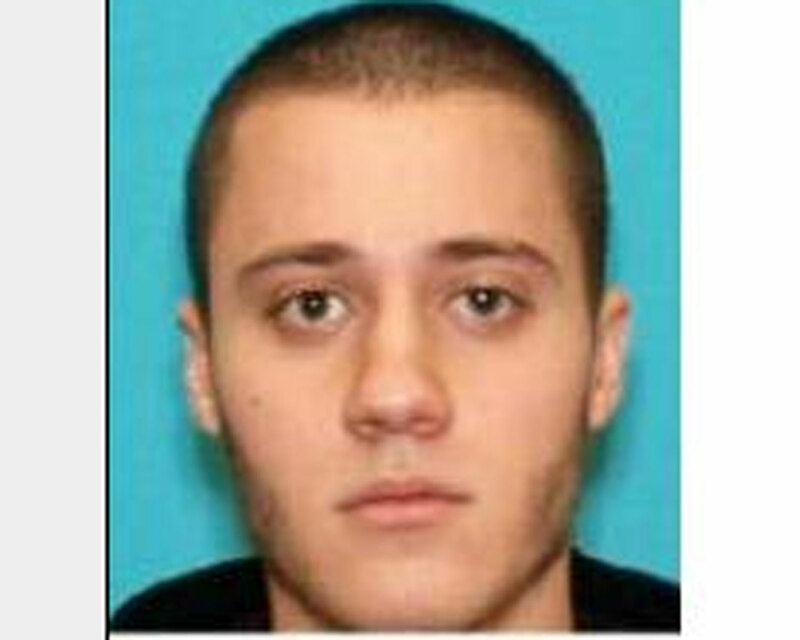 (CBS/AP) LOS ANGELES - Paul Ciancia, the 23-year-old man identified as the Los Angeles airport shooting suspect, had apparently made references to suicide in a text message sent to a family member of his earlier Friday, a New Jersey police chief says. Pennsville Township Police Chief Allen Cummings says Ciancia's father called him early Friday afternoon saying another of his children had received a text message from his son Paul "in reference to him taking his own life." Cummings says the elder Ciancia asked him for help in locating Paul. The chief says he called Los Angeles police, who sent a patrol car to Ciancia's apartment. There, two roommates said they had seen him Thursday and that he was fine. Cummings says he told Ciancia's father that because of the son's age, he couldn't take a missing persons report. He says his department had no dealings with the younger Ciancia. Law enforcement personnel in LAX terminal 3 after a shooting there, Friday, Nov. 1, 2013. A law enforcement official speaking on condition of anonymity identified the suspect as the younger Ciancia. U.S. law enforcement officials have confirmed that the suspected gunman has a family address in New Jersey but that he spent some time in the Los Angeles area. A preliminary review of the terror data bases and watch lists find no connections to Ciancia. And he does not have any significant police record. CBS News correspondent John Miller reported that according to investigators, Ciancia had a gun in his bag. Inside the bag, investigators came up with notes saying that the TSA were fascists and pigs, anti-American rantings, anti-TSA rantings and references to the new world order, which is another growing conspiracy group that believes the world is going to be taken over by forces and black helicopters and so on. Miller also reported Friday evening that, according to multiple law enforcement sources, Ciancia had five fully loaded magazines on his person and that ammo was found in a bag nearby. A law enforcement source said "he had enough ammo to kill everyone in that terminal." Authorities believe a lone gunman was behind the shooting at LAX Friday morning that left multiple victims wounded, Los Angeles Airport Police Chief Patrick Gannon said at a press conference. Gannon said the gunman was taken into custody following an officer-involved shooting. Gannon said the gunman entered Terminal 3 of the airport at about 9:30 a.m., PST, pulled an assault rifle out of a bag and began to open fire. The gunman then proceeded up into the screening area and continued shooting, according to Gannon. He said the gunman got "far, very far back into the terminal." He said the individual was tracked through the airport and authorities engaged him in gunfire inside Terminal 3. It was then thatthe suspect was taken into custody. The Los Angeles Fire Department revised its total number of victims taken to the hospital from six to five, saying one had been double counted. Those numbers included the gunman, the slain TSA officer and one person who broke their ankle. A male TSA officer was killed in connection to the shooting--he was later identified late Friday evening by the TSA as Gerardo Hernandez, 39. TSA Administrator John Pistole said in a message to employees Friday evening that "no words can explain the horror that we experienced today." Two other people were wounded in the shooting. The union representing the Transportation Security Administration (TSA) says the male officer who was killed was a Behavior Detection Officer (BDO) who was the travel document checker at the checkpoint area, had recently transferred to LAX from Montana, and had no prior interaction with the shooter. Worshippers were in church for Easter Sunday when a series of bombs went off in Sri Lanka in a coordinated attack, according to authorities. Most of the attacks were in the capitol of Colombo and more than 200 were killed. Elizabeth Palmer reports.